May be being inspired from the notorious action by Major Gogoi in Jammu and Kashmir where he tied an alleged stone palter in front of army jeep, Punjab police has done something similar. The only difference was that it was a woman this time. 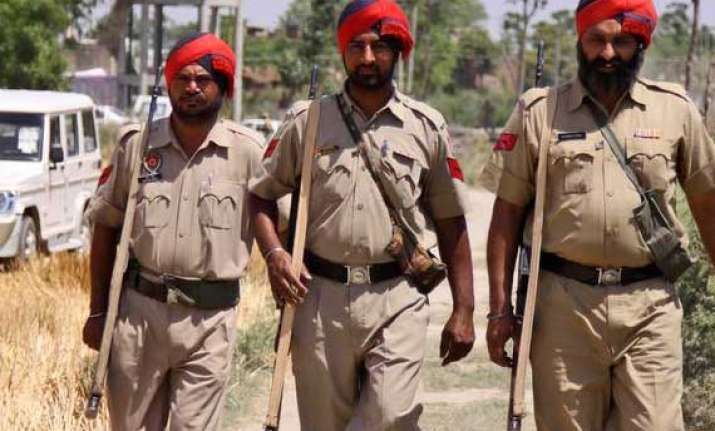 Allegedly, four days back on 22nd September’s morning Crime Wing Amritsar with the intentions of arresting someone raided a house in Shehzada village. As per the victim, Jaswinder Kaur wife of Gurvinder Singh, police raided their house to arrest her husband, who as per Kaur is innocent. “They couldn’t find any male members inside the house so, they pulled me out and tied me up to the roof of their car,” claimed an injured Jaswinder. As per the victim, police’s idea was to march the car in every street of the village, but when they started seeing villagers gathering to protest, they raised the speed and took a sharp turn to threw her off, then fled the place. On the other hand after getting aware about the whole thing, DSP Majitha and SHO Kathunangal Harpreet Singh met the family. The top-cops promised the family that they are going to take suitable actions against every culprit and whosoever is found guilty in this case. In the intervening time, there are some family is threatening to agitate in front of the houses of police personnel if the FIR against the culprits is not registered.